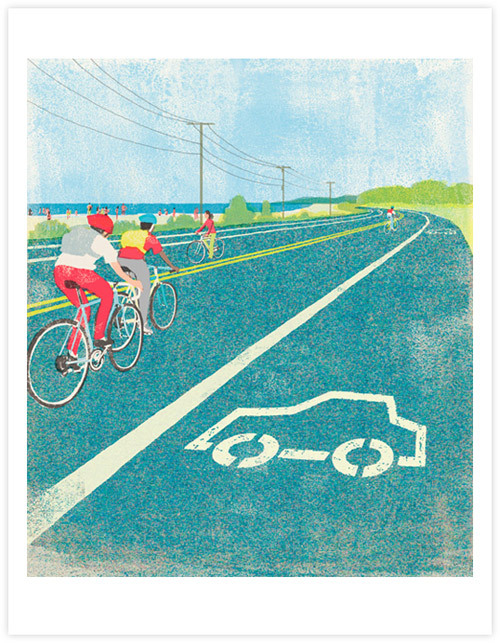 I love this poster from Tatsuro Kiuchi. I love this picture. What a great way to sum up what all of us cyclists would like the world to look like. Man, that is exactly how it should be.